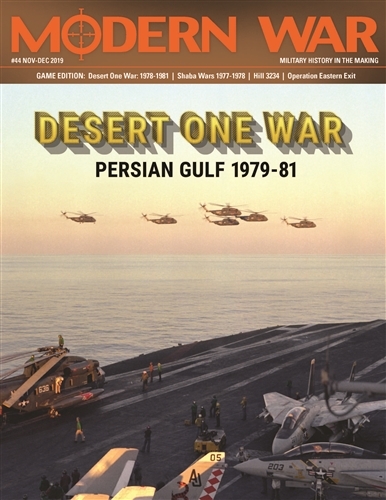 Desert One War is an operational level two player game covering US and allied intervention in the Persian Gulf during the 1970s and 1980s. The game has several scenarios. Two scenarios cover a US invasion of Iran in the aftermath of the Iranian Hostage Crisis of 1979-81. 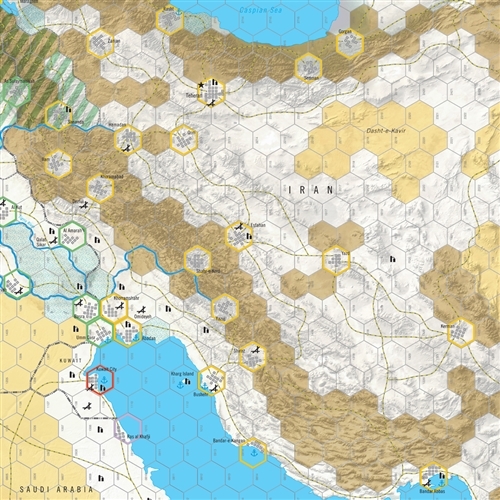 A third scenario covers an Oil War situation, where the US leads a NATO effort to seize Persian Gulf oilfields in response to an oil embargo. The game system models ground, air and amphibious operations. For the Allies, the central game system is Air Transport Points (ATP). The opposing Opposition Forces (OPFOR) have a better logistical situation since they can rely on local supply. But many of their military units are erratic in performance. This is modeled by untried units and other game functions. Each hex represents 60 kilometers from side to side. Each turn of play represents anything from three days of intense combat to ten days of refitting. 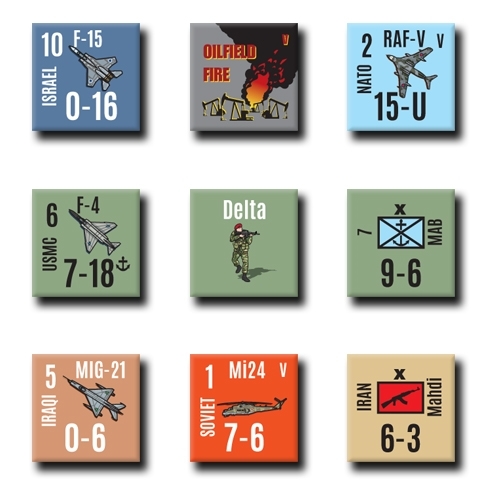 Ground units represent regiments, brigades, divisions and groups of irregulars.